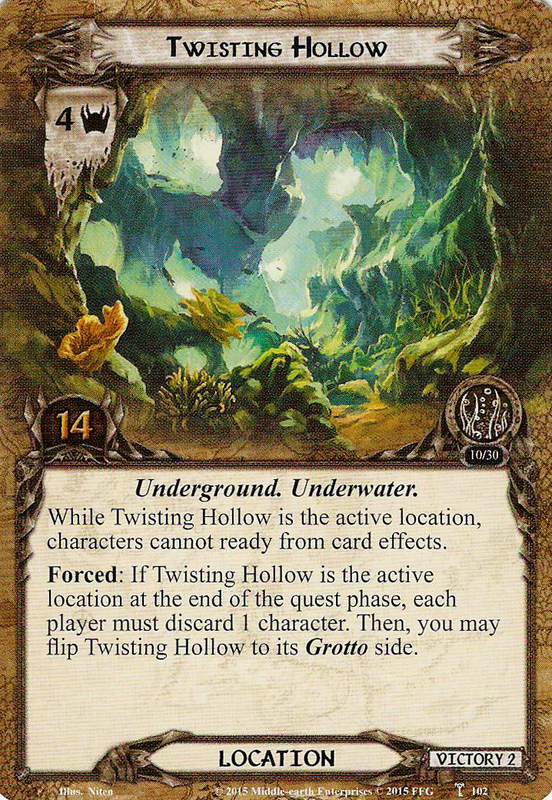 While Twisting Hollow is the active location, characters cannot ready from card effects. Forced: If Twisting Hollow is the active location at the end of the quest phase, each player must discard 1 character. Then, you may flip Twisting Hollow to its Grotto side.